Have you heard about Infini Mini? It’s Soundcore’s first soundbar and it’s designed specifically for smaller spaces. Soundbars bring cinema sound to your living room and elevate your TV’s audio. But, they’re also usually pretty big which can be frustrating if you’re living in a tiny apartment or just want to use it in a small space—such as the bedroom. Infini Mini measures just 21 inches in length and boasts two full-range drivers and a bass port to fuel the immersive cinema sound. Music and Movie modes tailor the sound output to your entertainment and Bluetooth allows you to stream music, podcasts, and more—directly from your mobile devices. 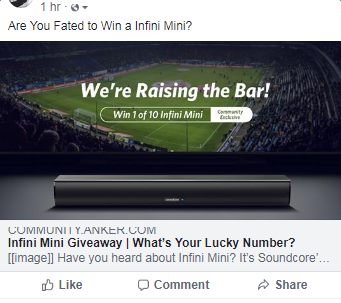 We’re giving away 10 Infini Mini soundbars to 10 lucky winners. To enter, just share this event on your Facebook or Twitter and post a screenshot of your post in the comments section below. 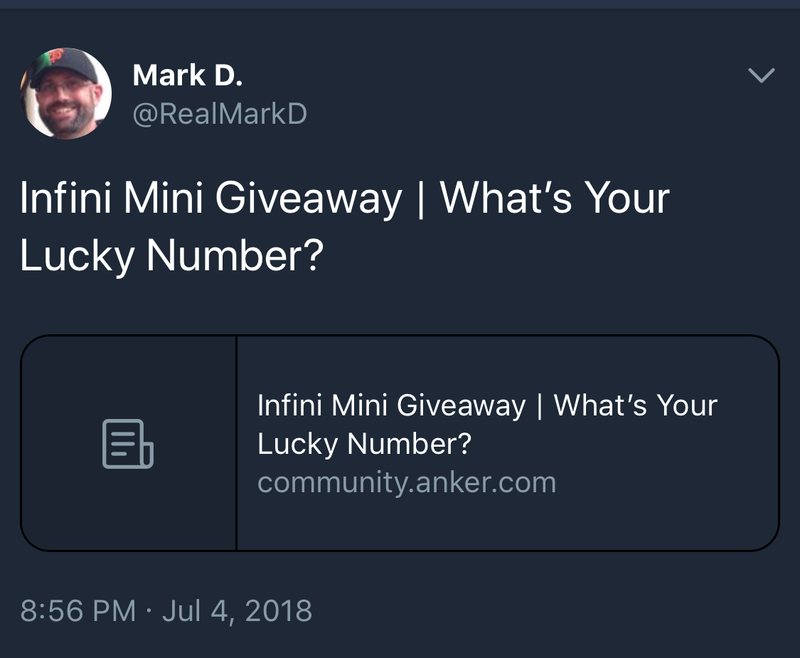 In China, 6 and 8 are the luckiest numbers (click here for a recap), so the people whose comments land on #: 18, 88, 168, 218, 288, 368, 428, 488, 528 and 600 will win—it’s that simple! Share this event on your Facebook or Twitter and attach a screenshot of your post in the comments section of this blog post. 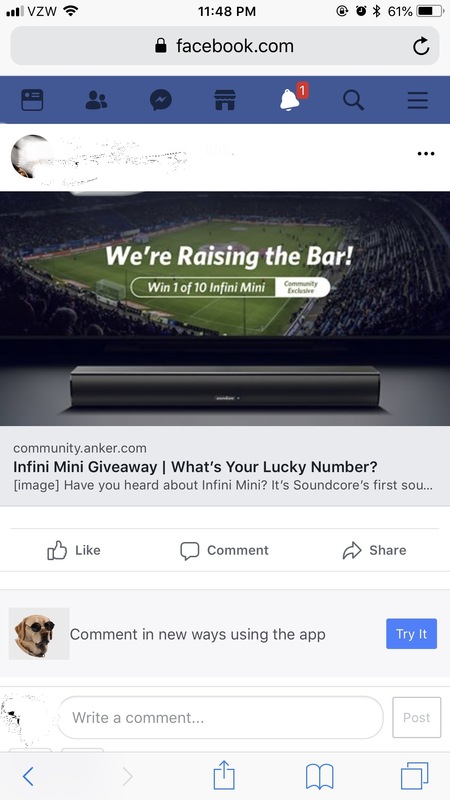 You will automatically be entered to win an Infini Mini soundbar. 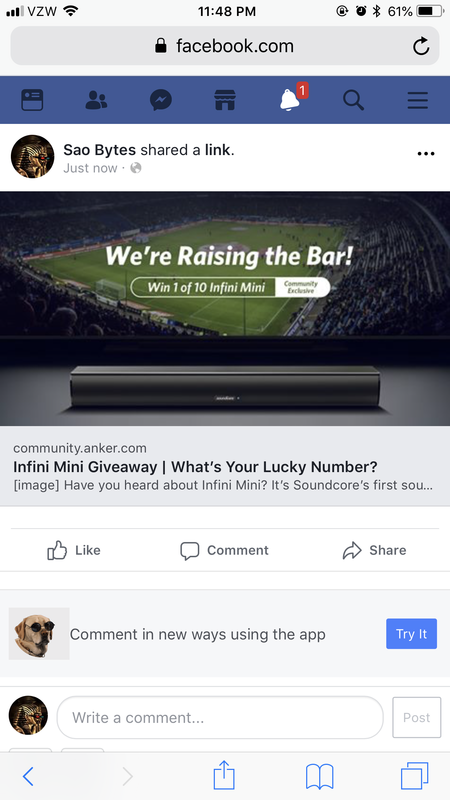 The 10 people whose comments land on #18, #88, #168, #218, #288, #368, #428, #488, #528 and #600 will win an Infini Mini soundbar worth $80. You may not post more than 3 times in a row. You may not post more than 30 comments total. Your comments, once posted, may not be deleted. This competition runs from July 5th to July 11th, 2018. 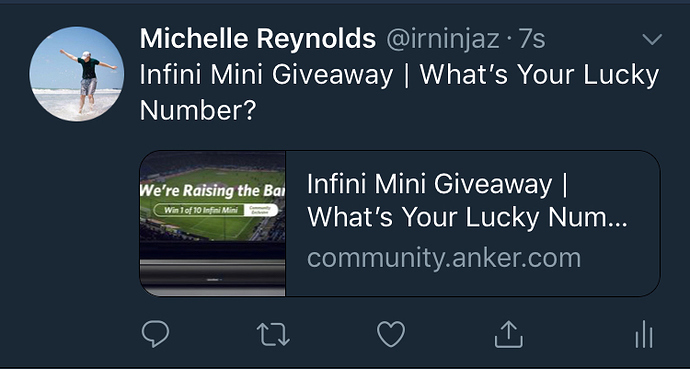 The winner will be announced on July 13th, 2018. If the winners do not meet the above conditions, the prize will go to the poster of the next eligible comment, in order. For example, if comment 88 is ineligible, the prize will go to comment 89 and so on. Each participant can only win once. Soundcore reserves the right of final explanation. Hi, Soundcore fans! After a long wait for a few days, it is time to announce the winners! Thanks to everyone who participated, you made this event interesting and exciting. We’ll be in touch with the winners shortly. Thanks all once again! If you didn't win this time, please don't worry, more events will up to come, so stay tuned! I know it's early, but I figure no one will want to be first since that doesn't win anything. Good luck with the timing! Just wanted to say thank you Anker for yet another awesome giveaway. Even better is tha this one is all by luck of the draw, and even more exciting as exhibited by the last giveaway that was similar. Rock on Anker!!! Don't forget to leave your social media screen shot here! 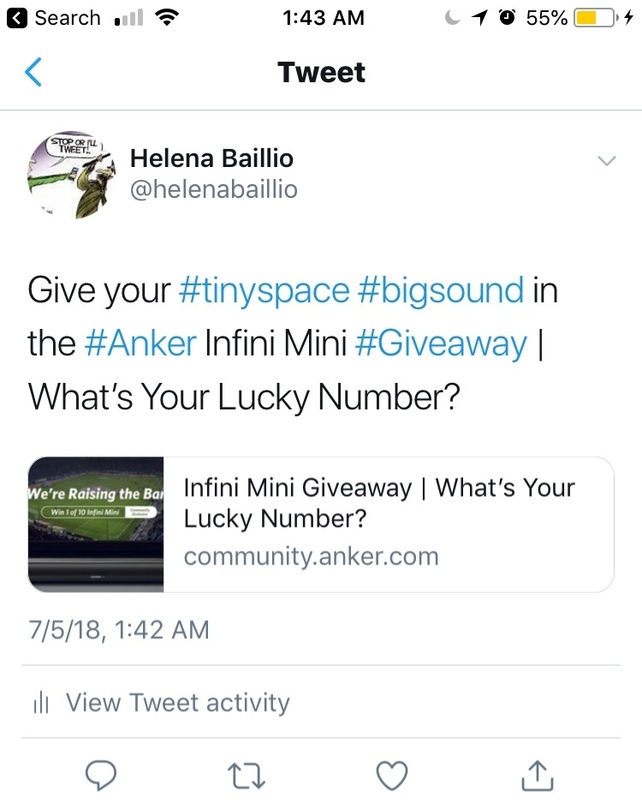 Yep- I just make up hashtags as I go along Thanks for another great contest @AnkerOfficial , although I suspect this will ultimately be much harder than it seems. Best of luck to everyone! Each participant has 30 Chances to comment, so who will be the first lucky person? Any room for a nooby? I want a power bar!